The easiest thing to miss in a garment is the zipper. Yet, a garment might never be worn, or worse, even be discarded, if the zipper didn't work well enough. 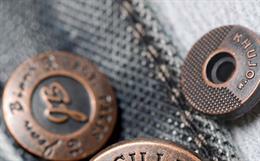 Subir Ghosh writes about trends, disruptions and standards in the zipper-fastener sector. There are some ideas that never click with the public at first. An American machine salesman and engineer by the name of Whitcomb Judson learnt it the hard way in 1893. He worked on-what was described as-a "clasp locker" and launched the Universal Fastener Company to manufacture his new device. The clasp locker made its debut at the 1893 Chicago World's Fair, but saw little success. Gideon Sundback, a Swedish-American electrical engineer, was hired to work for the Universal Fastener Company in 1906. He took the idea forward and increased the number of fastening elements from four per inch to ten, "introduced two facing rows of teeth that pulled into a single piece by the slider, and increased the opening for the teeth guided by the slider." The patent for Sundback's "Separable Fastener" came in 1917, and the name still later. BF Goodrich Company used Sundback's device as a fastener on a new type of rubber boots and called the device a "zipper". The name remains.Yet, it took the fashion industry two decades to take to the zipper. Sometime in the 1930s, a sales campaign began for children's self-help clothing featuring zippers. In 1937, French designers started using zippers in men's trousers. The device was called the "newest tailoring idea for men" and one of the plus points was that it would exclude "the possibility of unintentional and embarrassing disarray." There have been innovations galore since then, but the basic idea behind the zipper, as also fasteners, remains the same-you zip it up right, or you fasten it around just as tight. 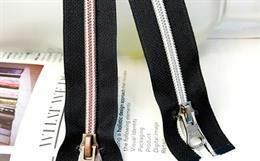 At first blush-to the lay person, at least-it might appear as though there is little scope for trends and challenges in the zipper-fastener sector. Yet, there are those unmistakable trends that are driving the segment-albeit few-but mostly revolving around material, functionality and consumer taste. For Gaetano Lanfranchi, chief executive of Ditta Giovanni Lanfranchi SpA, the main challenge is and will remain the capability to compromise with the growing need of personalisation and quality, with strict deliveries (the make or break deals). Lanfranchi underlines, "Sampling and production are indeed overlapping more and more due to capsule and special collections. 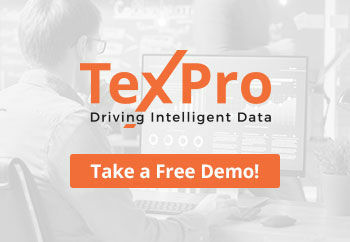 Technology will become fundamental in adapting our process for a faster service on smaller orders." As for what will decide the course of the future, he quips, "Service 360o sustainability technology." But then, Lanfranchi's company-known for the Lampo zippers-is steeped in history and heritage and known to move with the times. It was established in 1887 by Giovanni Lanfranchi-Gaetano's greatgrandfather-starting off as a button producer in Palazzolo, also known as the Italian Manchester. Today, Lanfranchi is a group of six manufacturing companies, all located in Italy, and employs over 400 people. The consumer factor also holds sway at Ucan Zippers USA. The majority of its customers are driven by their own needs and tastes. Managing partner and vice-president (operations), Malan Lai, points out, "We have seen on occasion designs that are based around the materials being utilised, but for the most part the demand for our zippers has been more for function. Consumers want products that look good and are functional and easy to use. 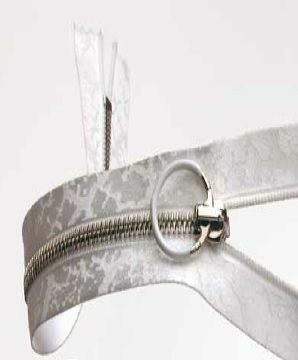 One of our core goals has always been to produce great functioning zippers. So, when the end-user is interacting with the product, they never think about the zipper because it's working well. 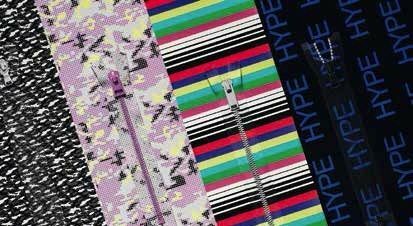 I believe consumer needs and tastes will always play a big role in driving the zipper trends and the types of zippers being used." Ucan Zippers was started by Malan's father, Paul Lai, and the company has been making zippers in the US for around 30 years. 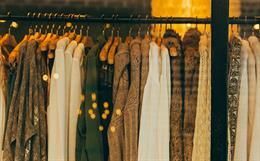 The take on the issue is a bit different with the chief executive of Prym Fashion, Brian Moore, who notes that "Sustainability is at the top of everyone's list and is being driven by consumers who are demanding more eco-friendly materials. When we were at Outdoor Retailer in January, that was the first thing everyone talked about when they visited our booth. Consumers are driving sustainability. They're showing preference for environment-friendly products with their purchasing power. As consumers continue to become more aware of the world and the fashion industry's impact on it, they will demand more sustainable products." Founded in 1530, the Prym Group is the oldest industrial family owned business in Germany and one of the oldest in the world. The company consists of four divisions- Prym Consumer, Prym Fashion, Prym Intimates and Inovan. The question that would therefore, naturally, cross one's mind is this: what innovations is one likely to see in the future? Are we going to see anything disruptive? Very broadly, the root concept itself has not changed much since the 19th century when zippers came to be used with garments. Or, has it? Lanfranchi does not see anything disruptive turning the sector on its head as yet, since it is more a "continuous process of upgrading old processes with the new technologies of production and IT (information technology) integration." He agrees that the system of chain slider has not changed much since the novelty came into being, "but materials and processes, amazingly yes!" Lai's understanding is similar, and underlines, "When you look at the concept of a zipper, not much has changed in the overall idea of how the zipper works and functions. 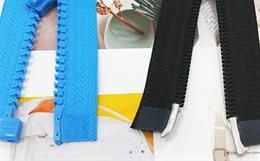 Companies like YKK have done a lot in innovating different types of closures or utilising different materials to make the zipper function better for specific usages. But again, the overall idea of the zipper is still the same. There is a slider body that joins the two sides of the zipper teeth together to create the 'closure'. If that idea ever radically changed it wouldn't be a zipper anymore." As straight as that. Moore, however, delves into the sustainability aspect. He contends, "Historically, the entire fastener industry has revolved around metal and finishing processes that are not environment-friendly. Prym LIFE (Low Impact Fastener Ensemble) fasteners are disrupting the industry, as they are manufactured with more sustainable metals and finishes that are better for the environment. In the future, we'll continue to see alternative materials that create a smaller environmental footprint. 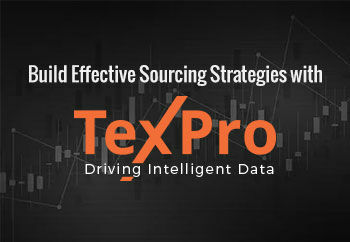 Sustainable options continue to gain momentum and cause disruption in the marketplace." Here, the view of the largest manufacturer of zippers in the world-YKK-assumes significance. The YKK Group is a Japanese group of manufacturing companies, with the initials YKK standing for Yoshida Kogyo Kabushikigaisha (English: Yoshida Manufacturing Corporation), which was the name of the company from 1945 until 1994. YKK produces fasteners and other products at 109 YKK facilities in 71 countries worldwide. Within YKK, the group distinguishes between the Slide Fastener Division, the Textile and Plastic Products Division, and the Snap Fastener and Button Division. Explains a YKK spokesperson, "You need both hands to use fastening products, such as zippers, buckles and buttons. In this point, it is usable to pull up and down for both-hands-users. However, it is not user-friendly for people with disabilities and/or when people cannot use both hands. YKK has been developing 'universal design' items to solve those problem. For example, we received the Gold Award from Good Design with our universal design product QuickFree. It is not only for usage of sports and outdoor, but for children and elder people also. Wider slider makes it easy for children and elders to pull up the zipper by themselves. Others, such as parents and caregivers can also help them get dressed easily. 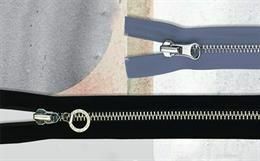 Moreover, YKK is looking at the future where you do not need your hands to operate a zipper. We introduced an idea of 'Auto-Slider' as a conceptional product, which can be pulled up and down automatically." And, there we are. If you don't need hands to use a zipper, that might well be the disruptive element that we can expect to see soon. A lot of innovation/technology goes into manufacturing zippers. But those, as also the finer aspects, mean little to a consumer who is using a garment. For a consumer, it needs to be easy-to-use and look fashionable too. But seriously, how much more fashionable can a zipper be? Lanfranchi argues that the zipper is a functional accessory, "but details usually make a big difference between a 'standard' garment and a top quality one. Usability, consistency and appearance are for sure noted by end-customers too, maybe they miss all the incredible design work behind." Needless to say, as Lai underlines, "many people do not understand the amount of technology that goes into manufacturing zippers. There has been much improvement in the equipment we use to manufacture our zippers, and that is what allows us to remain competitive in our space here in Los Angeles. We have been manufacturing our zippers here for the last 30 years, and over the years we have seen them used on so many different applications. From fashion to industrial uses to even jewellery. Today, there is a new crop of designers, inventors, influencers and what they are doing with our zippers always amazes me. 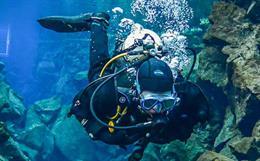 In their eyes, our zippers are still fashionable and functional." 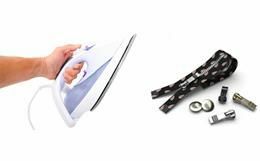 Adds Moore, "There are two parts of a fastener- the one you see on the outside of the garment and the one inside. The portion that's facing the consumer uses much different materials today than it did 10-20 years ago, including new technology such as reflective material, glow in the dark, and more sustainable materials. There is a movement toward incorporating new non-metal and sustainable technologies." 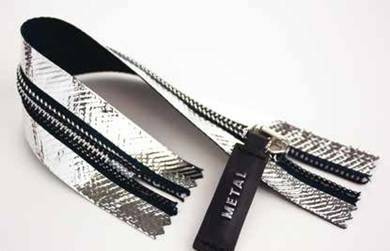 Zippers made from metal are among the most popular, but metal by its very nature is nonbiodegradable. The same goes for plastic-moulded zippers. And, all of these end up as part of postconsumer textile waste. Questions, therefore, abound: are we going to see a change in raw materials used? How can zippers become more ecofriendly than they already are? YKK, according to the company spokesperson, aims to reduce environmental loads. "We have been selling a zipper product made from yarn waste produced in our company since 1980. Natulon has been on sale since 2005. It is made from recycled plastic bottles. GreenRise will be on sale in April 2019, which is made from partially plant-based PET to conserve petroleum and aim for being carbonneutral. We continue to make efforts to develop environment-friendly products. "Last, regarding our manufacturing processes, most of those are in-house production except raw materials. Our activities are focused and actively monitored, minimising our environmental impact, such as CO2 emission, wastewater treatment in all processes from supplying materials to production." Says Lanfranchi, "We can offer zips made with some recycled components (e.g. the tape), but we are more focused on keeping the entire process sustainable. The process must be sustainable-not only a special line of products! It is true that metals are not biodegradable, but all our metals are recycled by us and by our suppliers too, besides most other raw materials and production discards. Sustainability must be considered with a 360o perspective: environmental as well as social and economic." The environmental angle is something that Ucan has been trying to tackle. Lai elaborates, "We work closely with our raw material suppliers to make sure that all our materials conform and adhere to all the standards and regulations mandated by local and federal laws. Even if we can make our zippers more 'eco-friendly', it will still end up as part of post-consumer waste. We have been working with our city to see what we can do to upcycle our products. We have been trying to find new ways that zippers can be used or re-used to keep them out of our landfills. We still have quite a few ways to go in finding new materials that can be used to make zippers, or what can be done with a zipper once it has seen its lifecycle. But I know we are working towards something better. Fasteners, contends Moore, can be more ecofriendly in both the material used to produce them and finishes on the product. "New technologies use less labour, energy and chemicals-which means reducing the environmental footprint. The LIFE manufacturing process for a metal fastener compared to a conventional process has: water reduction of 65 per cent; electricity reduction of 16 per cent; chemicals reduced by 98 per cent; and hazardous waste reduced by 85 per cent. "In the future, we'll see fasteners made with bio-degradable materials, post-consumer waste, and harvested ocean plastic. The machinery to make the fasteners hasn't changed much, just the process to make them more quickly and efficiently." In the recent past, issues related to lead, phthalates, nickel, etc, have dominated discussions. Zipper manufacturers today need to adhere to a number of compliances and address safety issues at the same time. This means a lot of work has to go into ensuring quality control. Lanfranchi adheres to Detox programme and is annually certified and verified by the Oeko-Tex Standard 100 - Class I (the strictest). "Our processes being vertically integrated and made in Italy, we can easily adhere to severe international regulations. But, unfortunately, our sector does not have a common standard. Each of our customers has its own, and it's not easy at all to manage the differences." Continues Moore, "It begins with having a secure supply chain. We must have confidence from start to finish in our process. We have control of all of our manufacturing facilities and processes around the world-as opposed to having sourcing partners- which allows us to have better control of our supply chain. We have strong audits in all regions where we produce, and have field audits to protect our products and supply chain." YKK has been following consumer safety regulation against chemical substances of finished textile products globally, the spokesperson outlines. "Along with the operations, YKK has established an original chemical management policy, called YKK RSL (YKK Restricted Substance List), which is based on Oeko-Tex. These days there are movements among brands and establishing groups to regulate chemical substances bringing environmental impacts into the scope. The Zero Discharge of Hazardous Chemicals (ZDHC) is also one of them. YKK follows its MRSL and is taking measures on eliminating harmful substances out of its process and products. YKK products have Oeko-Tex certification since 1996, and YKK is also a system partner of Bluesign, a certification body which certifies the world's highest level of consumer safety, minimal impact on workers and environment, since 2012. "YKK also has its own original compliance requirements called YGCC (YKK Global Criteria of Compliance) consisting of six categories: management system; labour conditions; hours and wages; health and safety; environment; and fair business practices. 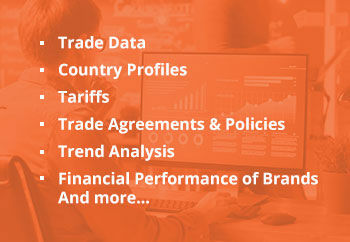 By implementing YGCC requirements in our global offices, we are able to standardise and upgrade our social requirement levels globally. In business, transparency and sustainability are key social requirement. YKK will pursue sustainable business with customers." 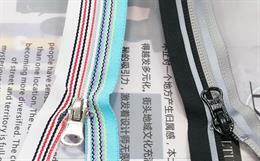 In the last 10 years, Ucan has been working on developing its luxury zipper line-G2. "This has been a great addition to our line as we are one of the last zipper manufacturers here in the US. As I stated earlier, advancements in technology allow us to remain competitive and nimble, and we do invest quite a bit into keeping our machines current and increasing efficiencies. We always have to be on top of what we do as we have to comply with many regulations having our factory located in California.